The coffee was waiting, chocolates and Werther’s Caramels graced the candy dish, praise music filled the room. Adults filtered in for a morning in God’s Word, chatting and joking with one another. The Lighthouse Sunday School Class was about to begin. After an opening prayer, we formed a circle. They stood, waiting expectantly, to see what was up. They had all discovered, long before, that the teaching methods used in this class were non-traditional. Henrietta flew from my hands and roosted with another. That lucky first person selected an animal and told us why they made that choice. From that point, Henrietta continued to “wing” her way around the room as each person shared their animal personalities. Dogs, mules, a lion, mice and others found their voice. Smiles, excitement, eagerness to learn and amazement at my insanity were easily noticeable on the faces of those who had become so dear to me. It was all good, since the Lord wants people to enjoy the study of His word and find pleasure in digging deep to learn. Children are not the only ones who like to have fun while they learn! From that point, we embarked on a study of sheep, seeking to learn from them how best to trust the Shepherd. Those lessons are waiting patiently to be gathered into a book, but there were many other treasures we found in the richness of God’s living, breathing Word, some of which will be shared in this blog, as Lighthouse Class Memories. The Lord privileged me with a great opportunity to teach a group of people I grew to love, and who have become a rich part of my family’s circle of friends. He recently brought me and my family to a new season and place to serve Him, but the Lighthouse Class still endures, taught by several people whom God raised up to lead and teach, causing them to reach for Him and stretch beyond their comfort zones. For those who know, that evolution was an example of how God’s plan is best and how He triumphantly works His perfect will in the lives of those who are open to Him. Every future Lighthouse Memory post is dedicated to the people of that special Sunday school class. Thank you, dear friends. May He bless you always with a hunger and thirst that only His Word and Spirit can satisfy. 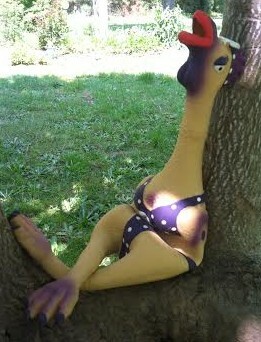 Henrietta takes a break from her teaching schedule.